When available, click on the title of each book to read my review. Sarantium is the golden city: holy to the faithful, exalted by the poets, jewel of the world and heart of an empire. Artisan Caius Crispus receives a summons from the emperor and sets off on a journey toward the Imperial city. 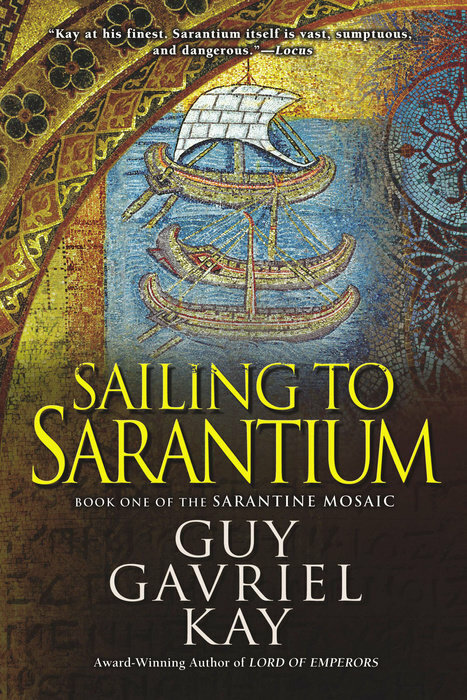 But before Crispin can reach Sarantium, with its taverns and gilded sanctuaries, chariot races and palaces, he must pass through a land of pagan ritual and mysterious danger. In Sailing to Sarantium, the first volume of the brilliant Sarantine Mosaic, Guy Gavriel Kay weaves an utterly compelling story of the allure and intrigue of a magnificent city and the people drawn into its spell. Of course, I could have recommended that you read Kay's incredible Under Heaven (Canada, USA, Europe), or the terrific The Lions of al-Rassan (Canada, USA, Europe), or the beautiful Tigana (Canada, USA, Europe). To be honest, anything by this author should be read and cherished. At the top of his game, Guy Gavriel Kay is as good or better than any other speculative fiction writer out there, alive or dead. 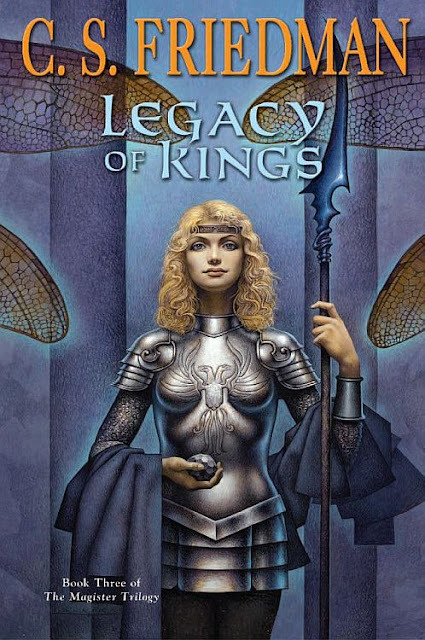 But fantasy fans usually prefer series, so this two-book cycle is just what the doctor ordered and the perfect way to sample the length and breadth of Kay's talent and imagination. Friedman made a name for herself with the amazing Coldfire trilogy. Indeed, these books established the author as a master of dark fantasy during the 90s. If you haven't read Black Sun Rising (Canada, USA, Europe), When True Night Falls (Canada, USA, Europe), and Crown of Shadows (Canada, USA, Europe), stop what you are doing right now and get your hands on these novels! Sadly, the Magisters trilogy, although awesome, flew so low under the radar that very few people seem to have read it. If more and more people actually gave these books a shot, we might soon refer to the Coldfire trilogy as the Friedman's other fantasy series. Yes, it's that damn good! Even before A Game of Thrones, George R. R. Martin had already established himself as a giant in the field of fantasy literature. The first of two stunning collections, Dreamsongs: Volume I is a rare treat for readers, offering fascinating insight into his journey from young writer to award-winning master. 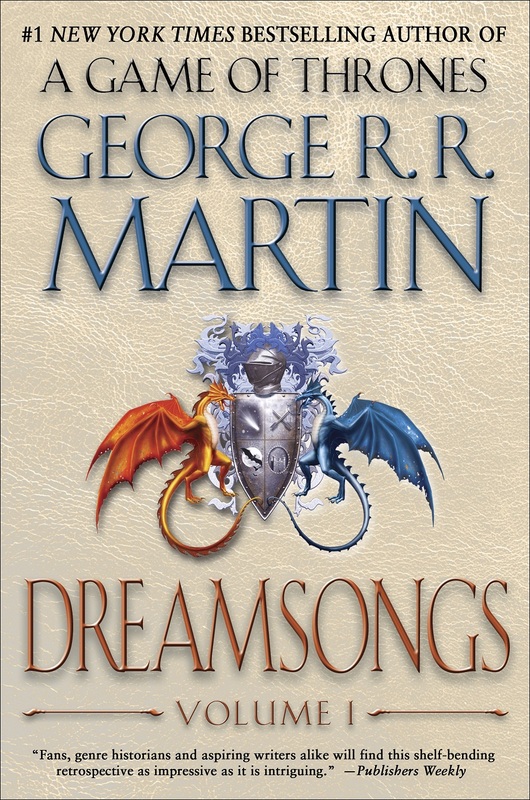 Gathered here in Dreamsongs: Volume I are the very best of George R. R. Martin’s early works, including his Hugo, Nebula, and Bram Stoker award–winning stories, cool fan pieces, and the original novella The Ice Dragon, from which Martin’s New York Times bestselling children’s book of the same title originated. A dazzling array of subjects and styles that features extensive author commentary, Dreamsongs, Volume I is the perfect collection for both Martin devotees and a new generation of fans. Dark, bloody, depressing, uncompromising, ruthless, with a poignant ending that should satisfy most fans and characters that stay true to themselves till the very end, The Godless World is definitely one of the best fantasy series of the new millennium. For fans of GRRM, Abercrombie, and Morgan, this is grimdark the way it was meant to be! Author of The Chronicles Of Thomas Covenant, one of the most acclaimed fantasy series of all time, master storyteller Stephen R. Donaldson retums with this exciting and long-awaited new series that takes us into a stunningly imagined future to tell a timeless story of adventure and the implacable conflict of good and evil within each of us. Angus Thermopyle was an ore pirate and a murderer; even the most disreputable asteroid pilots of Delta Sector stayed locked out of his way. Those who didn’t ended up in the lockup–or dead. But when Thermopyle arrived at Mallory’s Bar & Sleep with a gorgeous woman by his side the regulars had to take notice. Her name was Morn Hyland, and she had been a police officer–until she met up with Thermopyle. But one person in Mallorys Bar wasn’t intimidated. Nick Succorso had his own reputation as a bold pirate and he had a sleek frigate fitted for deep space. Everyone knew that Thermopyle and Succorso were on a collision course. What nobody expected was how quickly it would be over–or how devastating victory would be. It was common enough example of rivalry and revenge–or so everyone thought. The REAL story was something entirely different. Another great space opera series from the 90s that for some reason no one talks about these days. If there was such a thing as science fiction grimdark, this would be it. There is violence, intrigue, politicking, backstabbing, the whole nine yards. Some scenes can be psychologically repulsive and will disturb you. But keep reading and you'll be rewarded with one of the very best science fiction series of all time. Don't stop after the first one, as The Real Story was meant to be a stand-alone novella. By the time you get to the halfway point of the second volume, you start to understand just how vast in scope and vision The Gap series truly is and then you can't let go. How far should you go to make a profit? Infoquake, the debut novel by David Louis Edelman, takes speculative fiction into alien territory: the corporate boardroom of the far future. It’s a stunning trip through the trenches of a technological war fought with product demos, press releases, and sales pitches. Natch is a master of bio/logics, the programming of the human body. He’s clawed and scraped his way to the top of the bio/logics market using little more than his wits. Now his sudden notoriety has brought him to the attention of Margaret Surina, the owner of a mysterious new technology called MultiReal. Only by enlisting Natch’s devious mind can Margaret keep MultiReal out of the hands of High Executive Len Borda and his ruthless armies. To fend off the intricate net of enemies closing in around him, Natch and his apprentices must accomplish the impossible. They must understand this strange new technology, run through the product development cycle, and prepare MultiReal for release to the public—all in three days. Meanwhile, hanging over everything is the specter of the infoquake, a lethal burst of energy that’s disrupting the bio/logic networks and threatening to send the world crashing back into the Dark Ages. 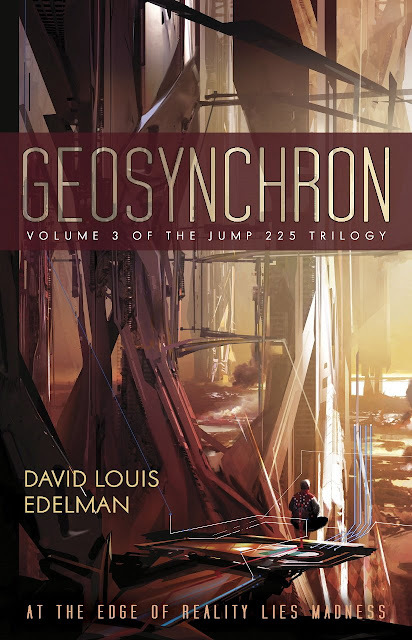 With Infoquake, David Louis Edelman has created a fully detailed world that’s both as imaginative as Dune and as real as today’s Wall Street Journal. Avery Cates is a very bad man. Some might call him a criminal. He might even be a killer - for the Right Price. But right now, Avery Cates is scared. He's up against the Monks: cyborgs with human brains, enhanced robotic bodies, and a small arsenal of advanced weaponry. 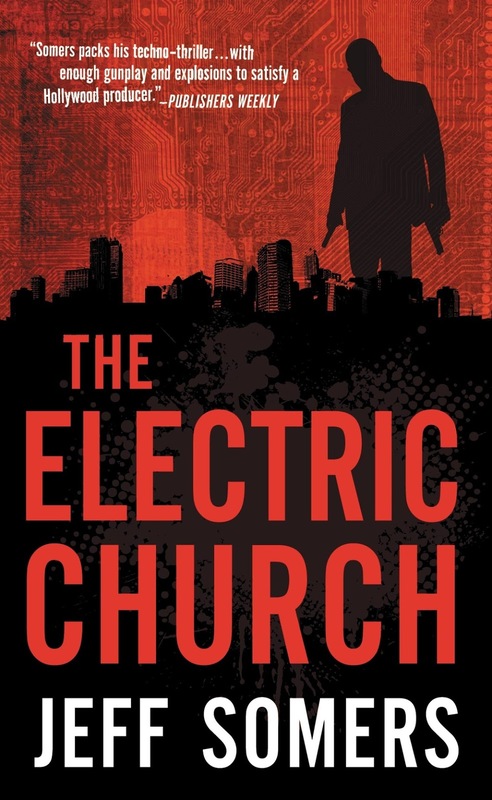 Their mission is to convert anyone and everyone to the Electric Church. But there is just one snag. Conversion means death. Jeff Somers' first series features Avery Cates, a far from likeable gunner you can't help but root for. Often down on his luck and not always the sharpest tool in the shed, Cates' first person narrative is a highlight from this series since the opening chapter of the very first volume. 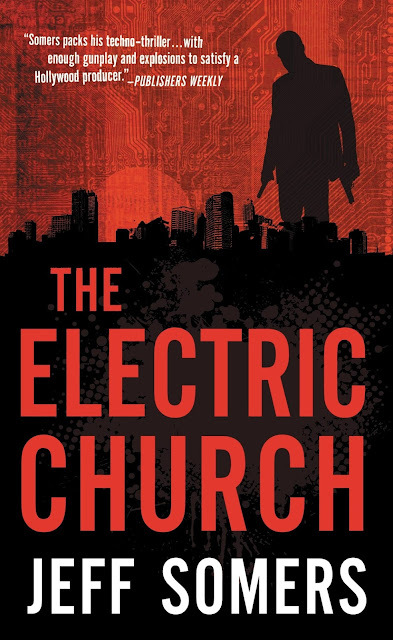 If you like balls-to-the-wall noir techno-thrillers set in a futuristic dystopian Earth, chances are you'll love these books! Isca is fallen; Antimone draws Her veil over the dead. Rictus, a young soldier of the city, is now ostrakr – homeless, devoid of purpose. He dons the red cloak of the mercenary and sets out to find a road for himself. On the world of Kuf, the Macht are a mystery, a fierce, barbaric people whose discipline and prowess on the battlefi eld is the stuff of legend. If they did not war endlessly on themselves, they would conquer the world. Beyond their home in the remote Harukush Mountains, the teeming races and peoples of Kuf are united under the Great King of Asuria, who can call up whole nations to battle, and whose word is law. But now the Great King’s brother means to take the throne by force, and has sought out the Macht. 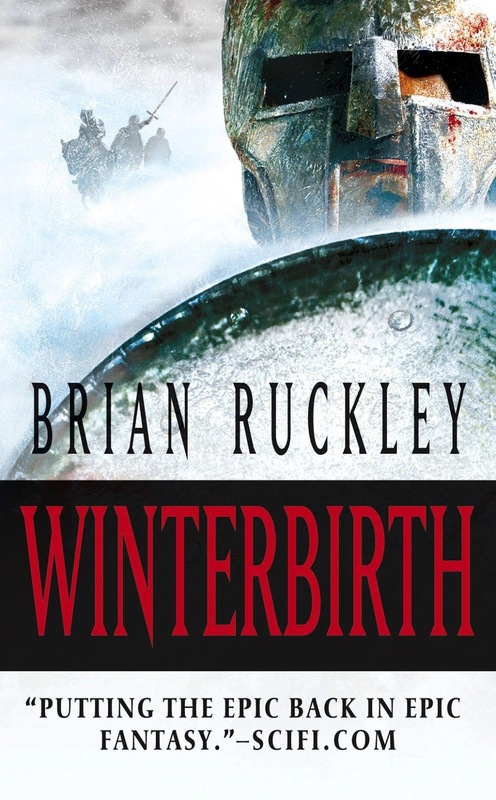 Rictus – and ten thousand more mercenary warriors – will march into the heart of the Empire. They will become legends. The Macht trilogy is military fantasy at its best. 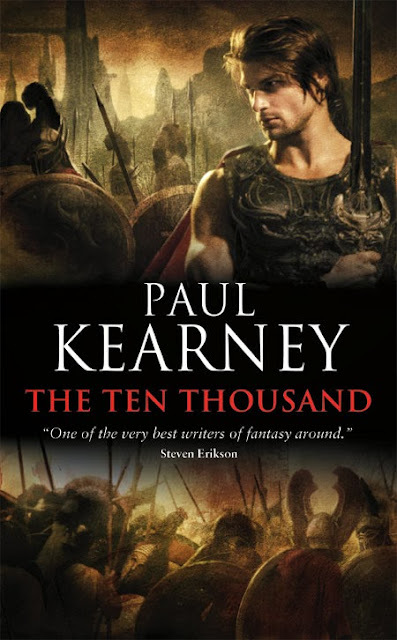 And yet, although it's often all about the stark realism of military campaigns, Paul Kearney delivers more than a few poignant and touching moments that demonstrate just how gifted an author he can be. If you love great characterization, action, and superior storytelling, give Kearney's signature work a shot! This should keep some of you busy for a little while. . . ;-) Happy Holidays to everyone! This is a great list. It's strange how big series like these get overlooked. The Gap has been on my list for some time. I think people just were not ready to accept Donaldson as a writer of SF after Thomas Covenant. Jump 225 is fantastic and most definitely overlooked - glad to see that on you list. The rest look really interesting especially Avery Cates. Thanks for the recs! I guess it's time I give the Somers, the Donaldson, and the Edelman books a shot! I hope Santa will be generous this year! 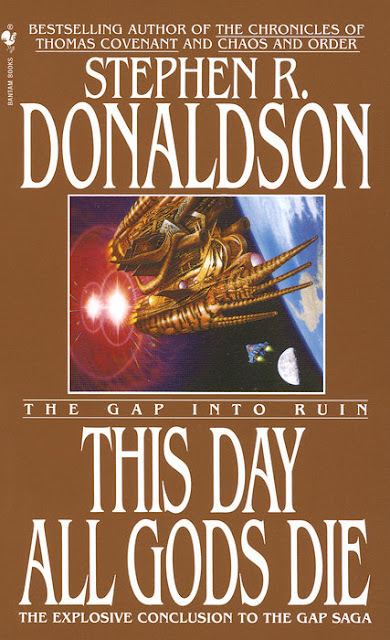 Donaldson's The Gap series ranks as one of my favorite science fiction series of all time. It's good to see it on your list! Anything by GGK is worth reading. Even his worse book, The Last Light of the Sun, is better than 80% of fantasy books everywhere! Great list! But, no "underread" list is complete without the Acts of Caine series by Matthew Stover on it! The Somers book looks really interesting. Thanks for that reco. Hey Pat, thanks for a very inspiring list!